On other news, CLAMP made a slight participation in NHK’s show TV Senshi, sort of. 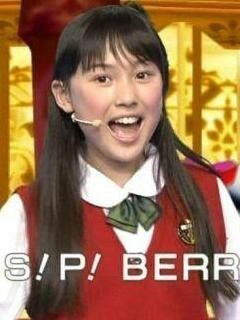 TV Senshi is a show aimed at children and young teenagers. In today’s episode, one of the young hostesses, Fujii Chiho, asked her favorite mangaka (CLAMP) to draw her character “Happy Ko” from one of the show’s corners, Girls Communication. 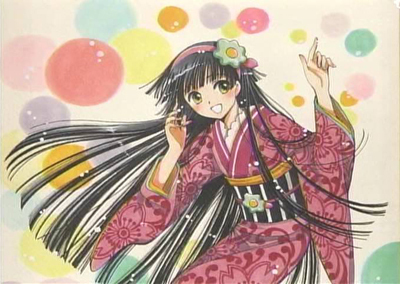 I thought CLAMP’s drawing was adorably similar xD Also quite a lot like Tomoyo. Update 2: The show’s official website has the illustration in its full extent! 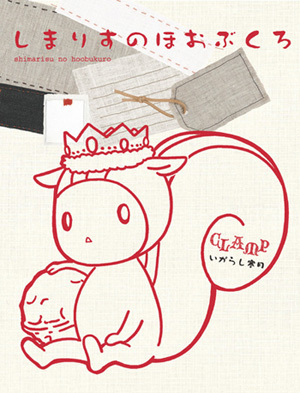 cutesherry has scanned a few pages of Satsuki Igarashi’s book, Shimarisu no Hoobukuro (Chipmunk Cheeks). You can check the scans here. To celebrate the release of Satsuki Igarashi’s Shimarisu no Hoobukuro (Chipmunk Cheeks), a limited paper message will be given to those who purchase the book at one of the 10 selected Animate stores across Japan. I will post here this paper message as soon as it is available. 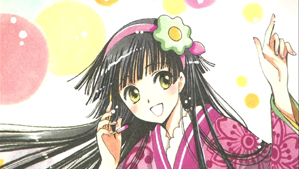 The book collects all columns written by Satsuki Igarashi and published in Newtype in the period of 2002 to 2009. Shimarisu no Hoobukuro will be released on June 10. You can check the cover in high resolution in this press release. As you can notice, the final cover is slightly different than the one announced in Newtype, however, the advertisement did say that it was just a tentative cover. The all color book has 104 pages and goes on sale June 10. You can check Kobato. Drop. 14 scans and Satsuki’s book advertisement in this album from this month’s Newtype magazine. Not my scans, taken from a Chinese forum. For those interested, you can download the full Newtype magazine here. New character in Kobato.! And he must be Fujimoto’s friend since he calls him by the first name. kitsune_no_ame has previews of this month’s anime magazines Newtype and Animedia over here. 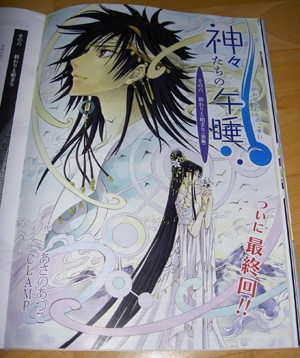 In Animedia, CLAMP drew the illustrations for the final chapter of the novel Kamigami-tachi no Gosui. Satsuki Igarashi’s Shimarisu no Hoobukuro goes on sale June 10. 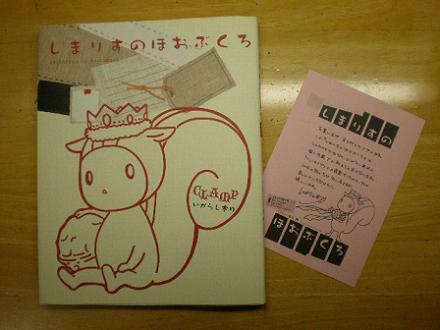 Satsuki Igarashi’s Chipmunk Cheeks book! As previously announced here, the columns written by CLAMP’s Satsuki Igarashi serialized in Newtype for the past 7 years will be compiled in a book. 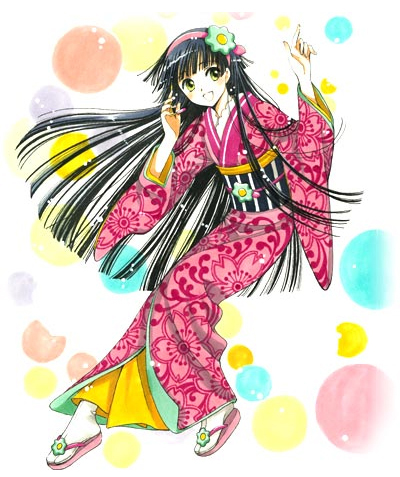 Today CLAMP-NET.COM has an official announcement with a release date. The book’s title will be the same as of the columns’, Chipmunk Cheeks (しまりすのほおぶくろ), it’ll contain all columns published during its run in Newtype, including the color illustrations featured in each of the 84 entries. 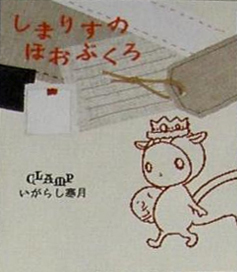 In addition, the book will have new essays and illustrations by CLAMP made specially for the book. The book will be published by Kadokawa and is scheduled for June 10 costing 1600 yens. This month’s Newtype magazine has more information about it. Great news! Looking forward to that ^^ Congratulations to our Satsuki Igarashi.